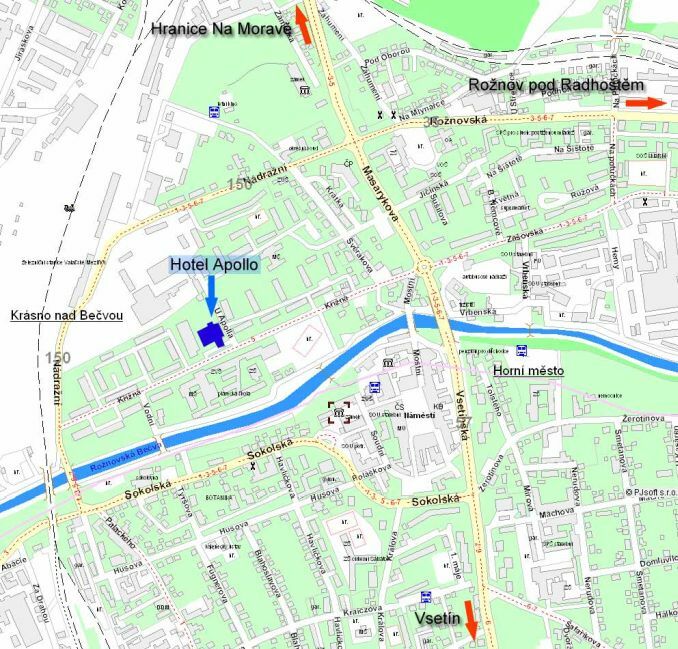 <Hotel Apollo *** Distance from the center, railway station and bus station is about five minutes. In addition to accommodation we offer spaces suitable for holding parties, banquets, weddings, family celebrations and corporate events up to 200 people. During you stay at the hotel you can enjoy visiting our restaurant pub, café, bar and outside seating in summer. We offer a wide selection of dishes, wines and drinks for favourable prices. is situated near to the center, in quiet environment, on the right bank of the Bečva river, street Křižná.